are planning on fishing for current daily information. Also, use extreme caution on the ice at all times. 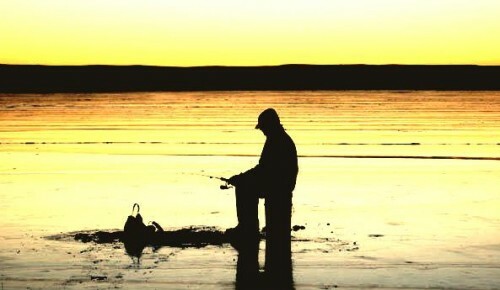 Good luck fishing from the Montana Outdoor Radio Crew. only froze last night but not safe. “No fishing here yet.” reports Bill of Rock creek Marina. Ice fishing on the South end has been happening. Rattlesnake to mine office has been catching crappies. amount of ice at the dredge cut. Only a few places to get on the ice. Bay is not froze over yet. Martinsdale has good ice. The ice is good but not many fishermen fishing yet. slow.” Other ice is real “punky”. Northern Pike there. No supplies available at this time. Reservoir, and Casio Creek Reservoir. They are catching all rainbow trout and it is walk only. People are saying the southend is fishing good. Guys are coming in here for big minnows to use there. People are fishing at Nelson up by Malta he has heard. Someone caught a big pike there he was told. for an ice report . fence in 2 places off the highway. You must close the gate and walk in only are the rules. minnows to catch fish. The west end is not on too much but the ice is picking up. Forchette is not frozen yet. The Yellowstone River towards Nelson has smaller chunks of ice now.